The ReNu Control Generator Control Unit or GCU is designed to replace the older SF-160 and its companion relay the SG-195 used on many older wind turbine such as the Vestas V15 and V17. It is a microprocessor-based, precision tachometer designed to connect the generator contactor to the grid at the synchronous speed of the generator. It is pin-for-pin-compatible with the older Zond GCU modules, and like that old GCU, will not allow the contactor to chatter in variable winds or require excess motoring. 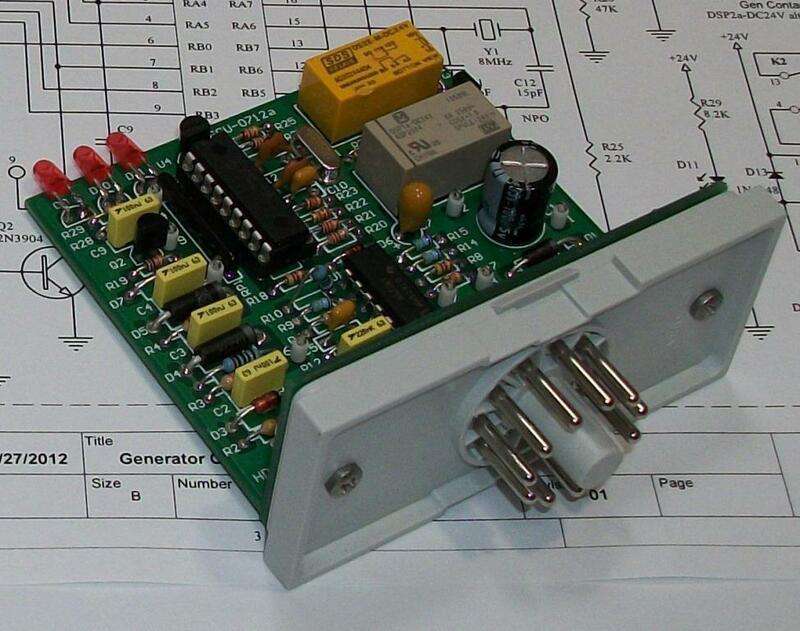 Additionally this relay provides an over speed output at 1245 RPM at the generator or 52.1 RPM at the hub. This is an independent over speed measurement apart from the OSG and is based on the GCU tachometer input sensor located on the generator high speed shaft. Two independent relays are provided within the GCU, one for control of the generator contactor and the other for over speed response to the brake solenoid on the turbine itself. By eliminating two older relays, now obsolete, and providing for an additional over speed measurement this relay enhances turbine reliability greatly. Like the OSG, it uses modern technology, improved transient over voltage protection and improved connection pins leading to a long life in the industrial environment. It is design for a wide temperature range (-25 to +65 C) allowing for fault free operation in these older turbines.